Pushing the boundaries and answering the unanswered is what NZTCA is all about. There are thousands of questions, each with different answers for different climates. Which is the best cultivar? Do organic practices produce more or less fruit than conventional? 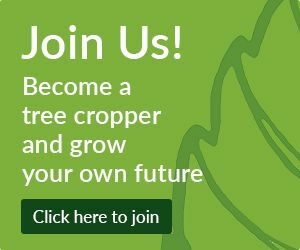 Which produce the most wholesome fruit, seedling or grafted trees? The questions are endless and the answers aren’t found in the lab, but by NZTCA members planting and observing nature. Anyone can plant a trial — Heather North outlines the considerations you need to take into account. Why do we set up trials? We set up trials to compare the performance of several different plant cultivars or species, or several different rootstocks. Which cultivar will perform best in my climate/soil? Which rootstock is most disease-resistant? Which cultivar has the highest crop yield? We aim to get quantitative data on these questions so we can draw well backed-up conclusions. It’s a bit more formal that just making a few observations on a couple of trees every now and again — though these observations can be useful too. It is a good idea to talk through your trial plans with the NZTCA Research Co-ordinator, but the following notes will give an idea of the issues you need to consider. Two important considerations in trial design. “Replicate” each cultivar in the trial — we know that plants can vary a great deal in yield, vigour, disease resistance and so on, even within a single cultivar. If you observe just a single specimen of that cultivar, you have no way of knowing whether its performance is average for its type, or whether it’s extreme (eg unusually vigourous, or unusually disease-prone, for its type). And if you compare just single specimens of two cultivars, you could draw the wrong conclusion about which is better, if one performs unusually well and the other unusually badly in your trial. The answer is “replicates” — you should have more than one specimen of each cultivar in your trial so that you can see what is average and what is extreme for each. You can then compare the average performance of several cultivars with each other. How to decide how many replicates is enough is discussed in detail below. “All other things being equal” — In a cultivar trial, you want to observe only the differences in performance that are due to cultivar, not those due to any other factor. Ideally, all the cultivars in your trial would be grafted by the same person, grown in the same soil type (though see comments on block design below), irrigated the same amount, pruned in the same way, etc., so that you can be sure any differences in performance are not due to these extraneous variables, but only to cultivar. In practice, of course, it is hard to achieve this. Ways of dealing with this — particularly randomisation and block design — are discussed in detail below. In practice, we often want to plant out the same trial (same set of cultivars) at multiple sites — where each site may have its own soil type, climate, and management. We may want to know which cultivar performs best in each of a number of climates (and they may not be the same). We may not have enough space for all the replicates of all the cultivars at a single site, so we must spread it across several. You still need randomisation (within each site) and replication (in fact you will need a few extra replicates). How many replicates are enough? How variable is the characteristic you are trying to measure (for example, yield)? If it is highly variable, you will need a large number of replicates to get a precise average. How precisely do you need to know the measurement? If you only want to detect gross differences between cultivars, then you don’t need many replicates, but to detect ﬁne differences, you need a lot. In practice, a lot of tree crops trials around the country (including the walnut, chestnut and hazelnut blocks at Lincoln University) have around five to six of each cultivar. The following is a very rough example of what you can do with this trial design. Say you want to compare the average crop yield between two cultivars, and, from this result, conclude which cultivar is better. With five replicates, you should be able to detect differences of 2kg in crop yield between cultivars1, but probably not differences of lkg. 1 Assuming a standard deviation in crop yield from a single cultivar to be lkg. That is to say, if the difference in average crop yield between two cultivars is only lkg, you will not be able to conclude that one cultivar is better than the other (the evidence is not strong enough). But if the difference is 2kg, then you will be able to draw this conclusion. This may well be sufficient for your needs. However, planting ﬁve to six replicates of each cultivar at each of three to four sites will give you a stronger trial, and allow you to detect ﬁner differences in performance. It will also enable you to check whether your conclusions hold over a range of different climatic and management conditions. As mentioned, you usually want to know only about the differences in performance due to the cultivars, species, or rootstocks under trial. You don’t want your observations to be confused with differences due to other factors. There are some sources of variability that you can control, and it’s important to do so if possible. Get all specimens from the same propagator. diameter and height, and are all free of disease. Ensure all specimens at a single site receive the same management, including irrigation, fertiliser and pruning. The method for dealing with this is to plant your cultivars in a random layout. This is to ensure that each cultivar (assuming there are, say, ﬁve replicates of each) experiences the whole range of variability in each of these factors. You avoid the situation where, for example, all the replicates of one cultivar are planted in a row along a shelterbelt, so all of them receive more shade, less wind and possibly less water than the neighbouring row of another cultivar. If you are planning trials that will be planted out in commercial orchards, growers may not like the idea of a random layout (if they need to harvest crop from different cultivars separately), so it is worth mentioning this requirement in advance. In practice, there can be problems with purely random layout, so generally a modiﬁcation called randomised block layout is actually used. As mentioned, the purpose of randomising layout is to ensure that each cultivar covers the full range of variability (in soil, shelter, etc.) that exists in the trial site. In many cases, drawing random numbers to allocate cultivars to locations will provide this, but there is also a chance that it will not. There is a chance that the randomly drawn locations for a single cultivar will all turn out to be in one corner of the trial site, or on a single soil type. Block design avoids this by ﬁrst splitting the orchard into smaller blocks, and then randomly allocating locations, as shown in the diagram below. This diagram shows a randomised block design for four replicates of each of six cultivars (numbers one to six). The trial site has been split into four blocks, and each block contains one replicate of each cultivar. The cultivars are allocated randomly to locations within each block. The characteristics of the trees and crop that you choose to measure will depend on the purpose of your trial. However, the following are some useful measurements of vegetative growth and cropping, and also some important environmental factors (which might help you understand any observed differences between sites or between years). At the simplest, you can calculate averages for each cultivar (eg average crop weight, or average shoot growth), and compare these between cultivars. It’s useful to display these results on graphs so you can clearly see the comparison. However, it’s a good idea to get some help from your NZTCA research co- ordinator unless you are used to working with statistics. That’s because you need to know whether or not any difference observed between cultivars is actually signiﬁcant. A small difference could be just due to chance, rather than a real difference in performance. 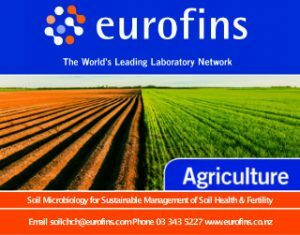 All the best as you discover suitable cultivars and rootstocks for your climate and soils! Of course, information, including that obtained from a trial, is only useful if it is recorded and shared — reports, observations and comments about trials are always welcome in the TreeCropper.